Are you preparing to move? If so, you’ll need a team of experienced professional movers! This is where Green Van Lines comes in. 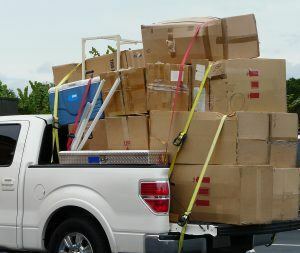 Our North Richland Hills movers are truly the best in the business. Our local movers in North Richland Hills are trained and specialized in a wide variety of areas. When it comes to your local move, Green Van Lines is the #1 choice! We’re the premier full-service moving and packing company in the community. Our local movers in North Richland Hills are highly trained moving professionals with years of experience. We have a history of providing the highest quality local moving services. Nobody likes to pack up and move, but long distance moving is particularly challenging. If you’re preparing to move across the country or even internationally, Green Van Lines is here for you. Our North Richland Hills movers can tackle any job at any time. Are you moving your commercial business? Here at Green Van Lines, we can successfully handle all your industrial and commercial moving needs. Our North Richland Hills residential movers take care of all aspects of the packing and moving process so you don’t have to. Is your business in need of corporate relocation services? Look no further than Green Van Lines! Our local movers in North Richland Hills can help make your office move as quick and painless as possible. We’re always happy to talk with you and answer your questions. Come by and see us at our North Richland Hills branch! North Richland Hills, a city in Tarrant County, was ranked as one of the “Top 100 Best Places to Live in America”by Money magazine. This bustling metropolis is chock-full of art, culture, and fun things to do – we at Green Van Lines are proud to offer our services in North Richland Hills.